Greenwich Power Systems is your full service generator company. Many home and business owners come to us confused and frustrated with their experiences dealing with generator sales people. We are a full service generator company, which means we take you from start to finish and beyond all to make sure you’re happy with your purchase and you get what you need. A bigger generator isn’t always better, but new customers don’t always know that. Often, the most expensive generator just doesn’t make sense for a client’s needs. We understand that there are many factors that need to be considered when buying a standby generator, and we work with you to find the right sized one for you at the right price. We take the guesswork out of your investment. Our approach leaves nothing to chance and is completely transparent. We’ll give you everything you need to make a confident decision, and you can expect to be educated on the different options that are available to you based on your needs. You’ll feel good about your decision and we’ll get to work. Our full-service approach handles all phases of your project, from consultation and design, to final inspection, including the generator unit, electrical, plumbing and permit submissions. Our turnkey approach will put the onus on us to get it done and done right. What happens after it’s installed? We will continue to service and maintain your generator for as long as you’d like us to. We’ve developed a service model that makes sure you don’t fall between the cracks and are never left in the dark. If you ever need to reach us, we’ll pick up, even on holidays. We offer 24-hour-a-day, 7-days-a- week service to our customers. Guaranteed. 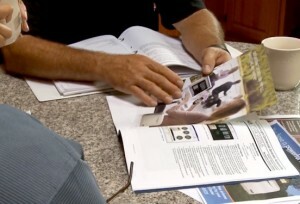 Didn’t use Greenwich Power Systems for your purchase or install? That’s OK. Many of our customers have come to us as a result of maintenance and service contracts. Give us a call, and you’ll see right away that Greenwich Power Systems offers customer service and quality generators that will put your mind at ease. Our customers love our full-service approach to their generator purchase, installation and maintenance. If we have no power, we have no business. It was not even a thought for us to buy a generator. When we had an outage and had to close for 2 days, we felt the loss for sure.